Renewal; 7th issue, 88 days, $3000.00, and a little more gray hair…. Tugboat related issues, comments, and opinion. 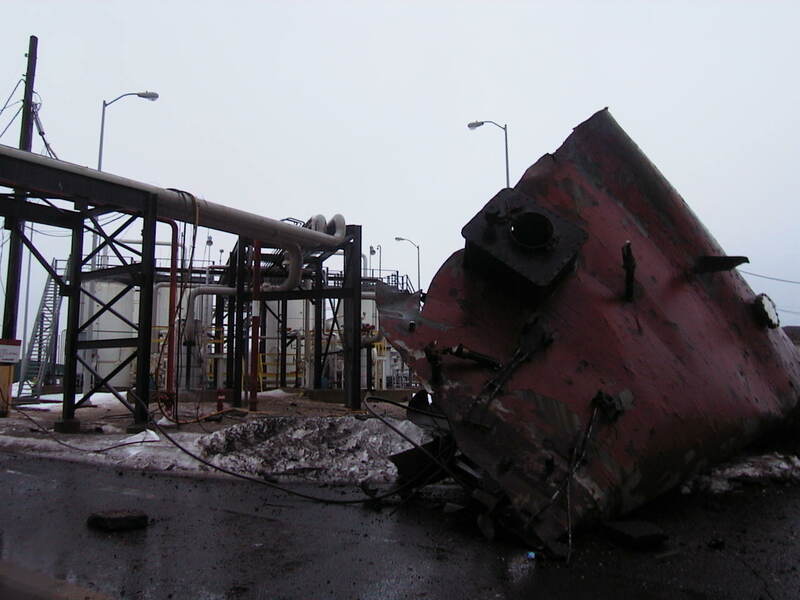 The Bouchard 125 explosion at Port Mobil was a nightmare come true for much more than just the principal players. Information regarding this event is sketchy and incomplete, I thought I’d try to shed a little more light on what occurred that day since the anniversary of this event is nigh. 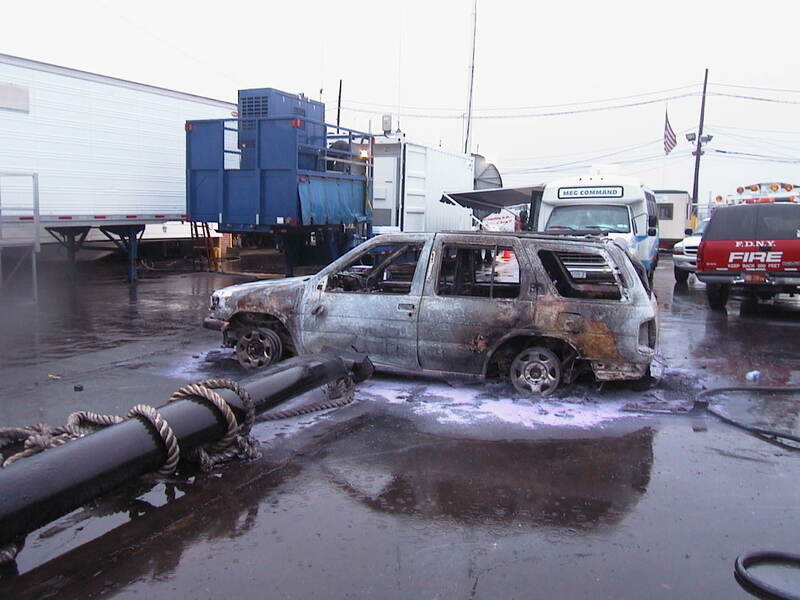 The incident represented the realization of a “worst case” scenario for every emergency service in the Port of New York and New Jersey, the aftermath of this event would leave 2 men dead, one critically injured, and a major oil transfer facility crippled. Although many discussions have been had over the reasons this occurred, I can’t talk firsthand to any of the reasons or the “how or why” this event took place. I’ll leave that to the New York Times article I’ve linked here. 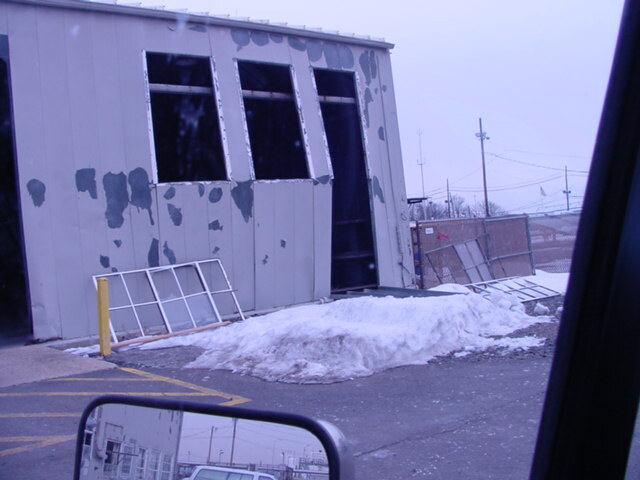 I can however, show you what happened thanks to a well-circulated surveillance video recording that has made the rounds within our industry. What I’ve got here is the first 20 minutes edited down to less than ten minutes. 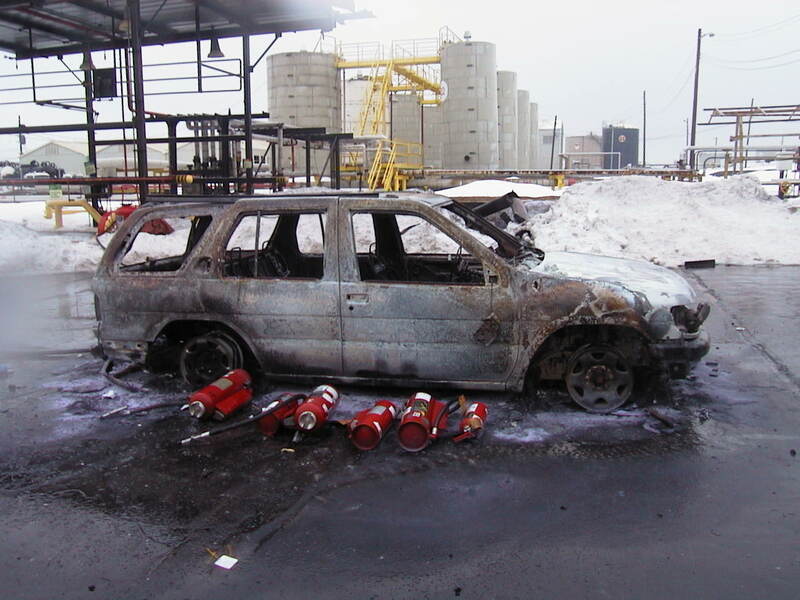 Bear in mind, this explosion consumed 56,000 barrels of gasoline, killed two men, and critically burned another. In the opening seconds one can see how calm and quiet the day was and how quickly that quiet was obliterated. 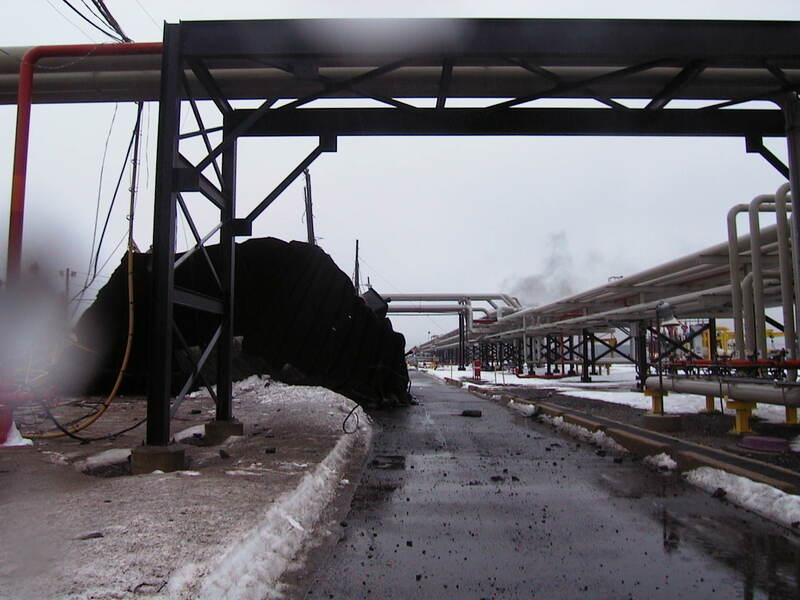 What is seen flying through the air during the first instant of the explosion are pieces of the Bouchard 125 as big as a small bus landing hundreds of yards away from the nexus of the explosion. She basically “unzipped”. 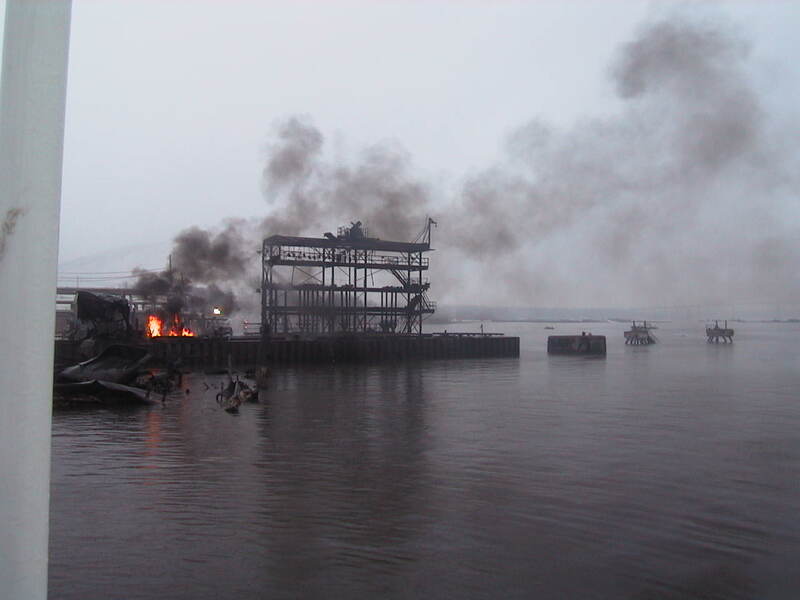 At the instant the explosion ripped the barge apart, the two men of her crew died. One of those men had just received the news of the arrival of his new baby girl just 12 hours earlier. She’ll turn six on the anniversary of her father’s death this year. 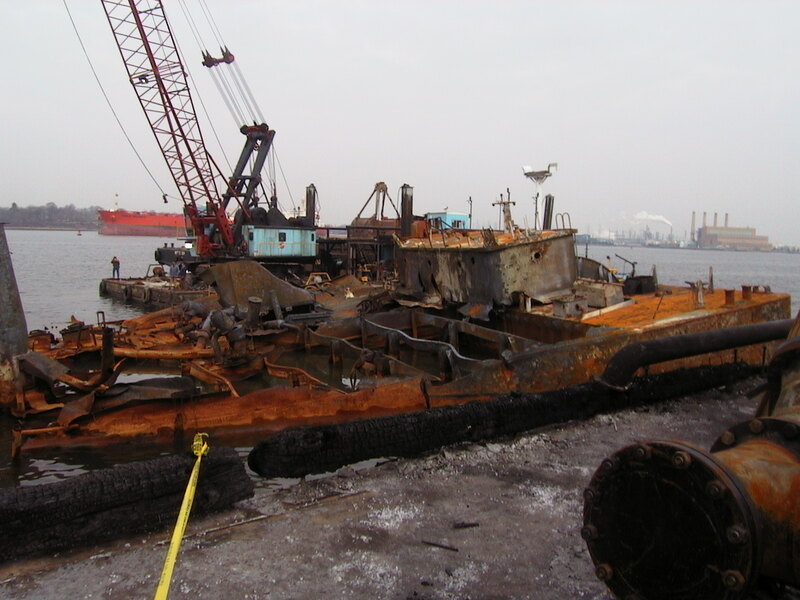 The bodies of the barge captain, John Kyne, and barge mate, Ford Ebank, were recovered. 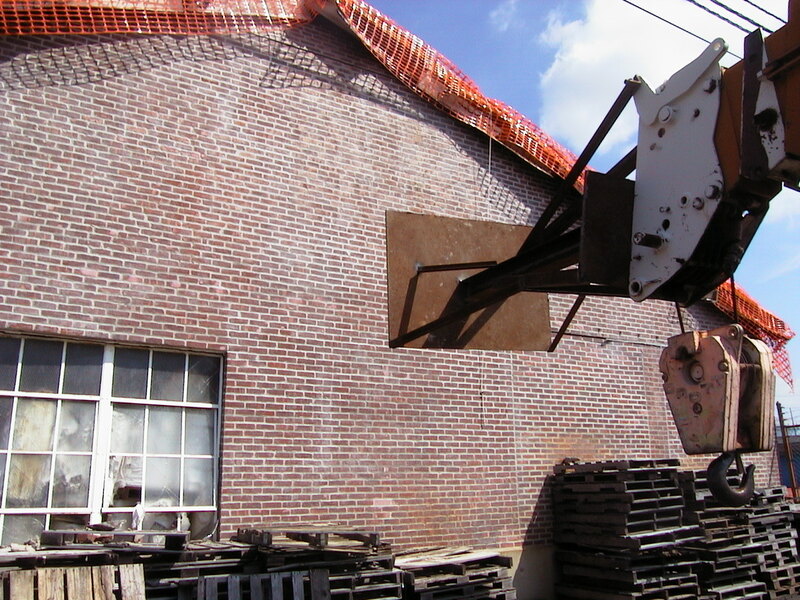 Also keep in mind, when an event of this scale takes place, the assets that may be brought to bear are not assembled to put the fire out, but to limit damage from spreading. 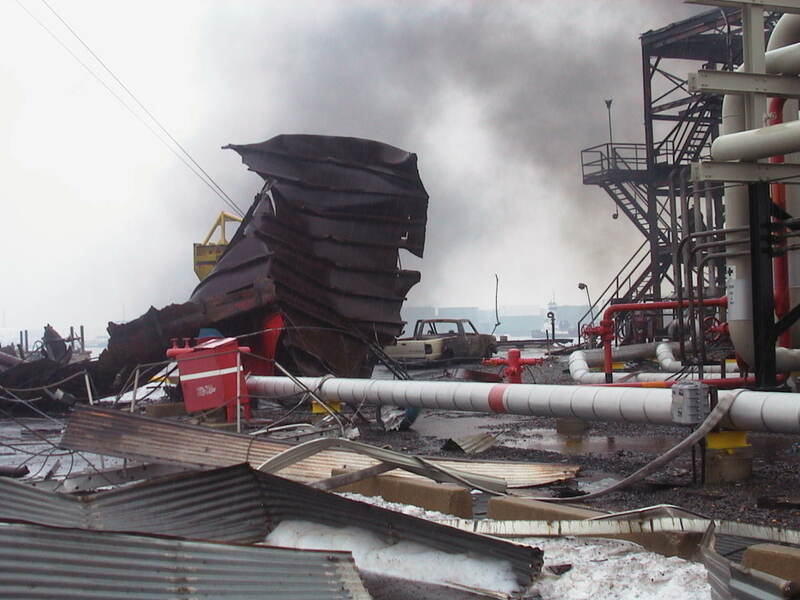 When a fire of this magnitude occurs, the general strategy leans toward letting them burn out, especially for gasoline. There really isn’t any logic in, or enough assets to extinguish such a fire. 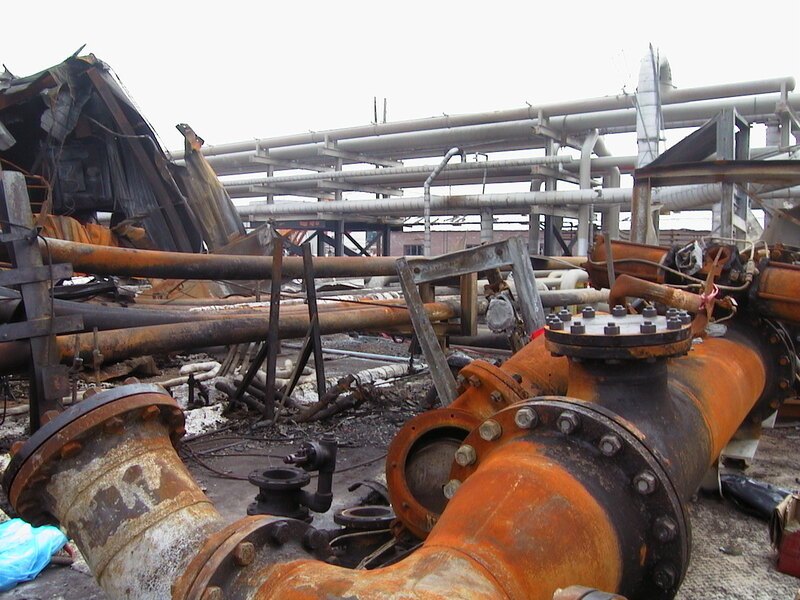 In the Port of NY/NJ there are quite a few refineries and storage facilities. Tank farms are a common sight in the Garden State. 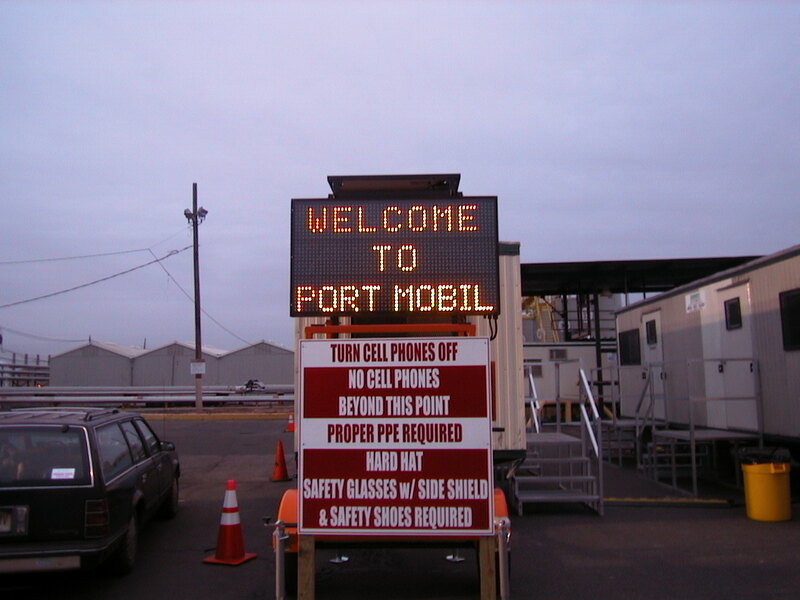 N.Y. Harbor has only one tank farm left in Staten Island and that is/was Port Mobil (now KMI Staten Island). The real heroes of this day, were without a doubt, the crews of the tugs Evening Mist and the Frances Roehrig. If you look closely in the left-hand side of the frame there is another barge in harm’s way, the Bouchard 35. 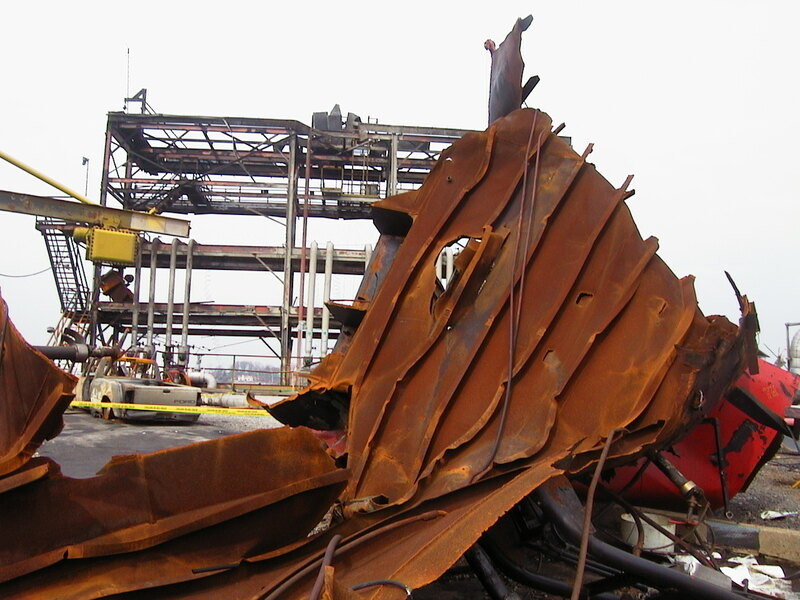 The flames actually burned the paint off her forepeak and anchor. The B35 had an explosive cargo aboard as well and the crew of the barge had been evacuated, but these tugs came in to save the 35 from certain doom at great personal risk. 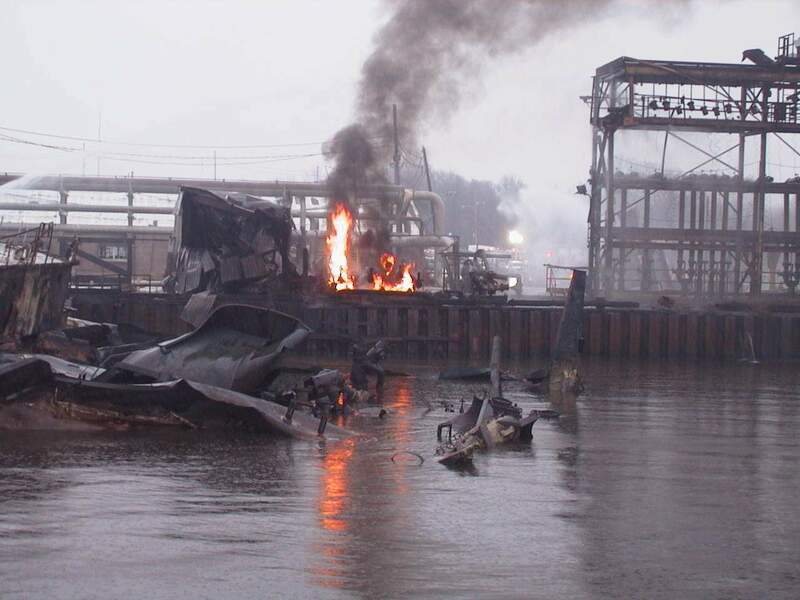 They needed to make up to and shift the barge away from the terminal past the burning hulk of the 125 and not go aground in doing so. The terminal’s channel is narrow and shallow and the current was luckily slack for a good portion of the maneuver. 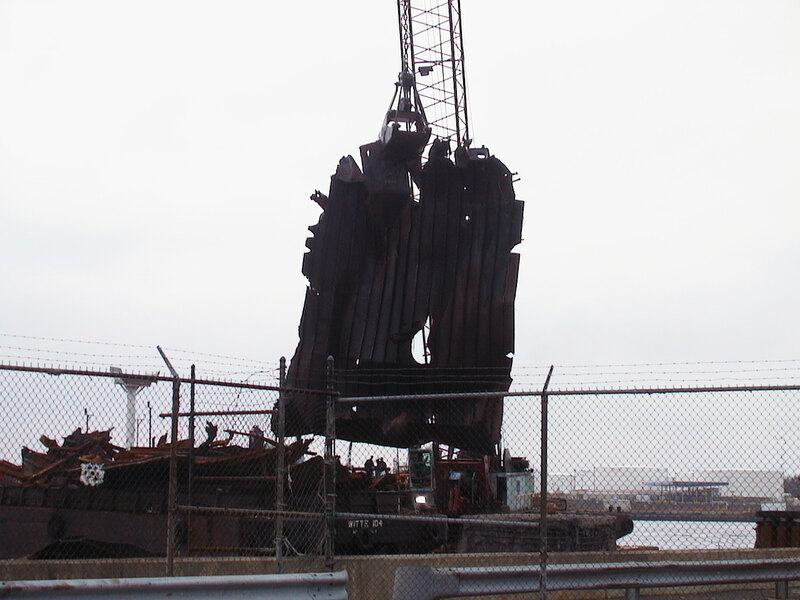 It should be noted as well that during the first few moments, there were barges loading across the Arthur Kill at the dock where this video originated. 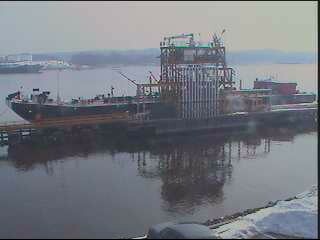 Another Bouchard barge is in the foreground. Out of camera range to the right is the RTC105 being tended by the Tug Dace Reinauer and the Tug Stephen Scott. 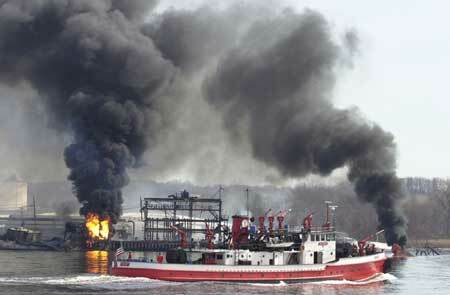 Both tugs were wetting down their charge as the fires raged. 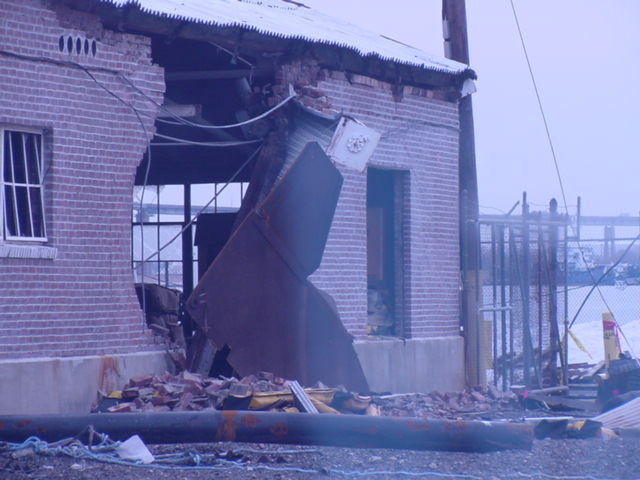 My part in this begins a few minutes after the explosion took place. I was on the Zachery Reinauer and had the RTC400 in tow alongside for delivery to Sewaren, NJ. I didn’t notice the smoke on the horizon since I was just north of and then between the Arthur Kill Railroad Bridge and the Goethals Bridge on my way south. 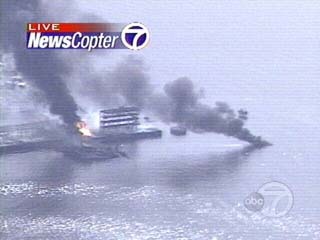 My brother Jim, Captain on the Austin Reinauer, asked me if I heard of the explosion. I had to say no. He told me what had happened and I knew we had a couple of our boats down that way. I also knew there wasn’t much chance of our making any delivery in an area that was on fire. I decided to land the RTC400 at the old Gulfport dock and ran the light tug down the Kills to offer any assistance I could primarily to our guys on scene. 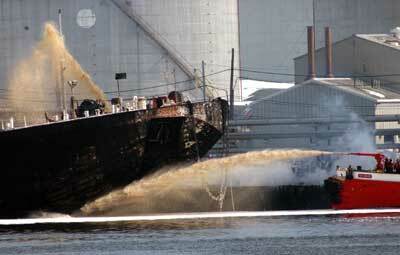 The Zachery had a damn fine water cannon on the top of the boat, I was sure it would be of use. 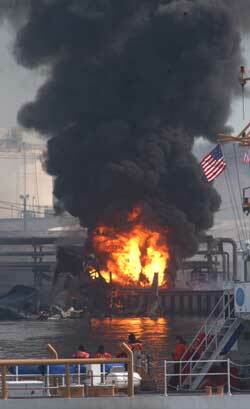 We moored the barge quickly and I woke the off watch so we would have a full crew aware and alert going into this. My dispatcher was not exactly sure we should advance in that direction, but I more or less volunteered us. My mate at the time was Dave Esdale who had worked for Mobil Oil Marine division for many years. As we were heading south toward the fire I received a frantic call from his daughter whom I had to reassure that all was well with her Dad. 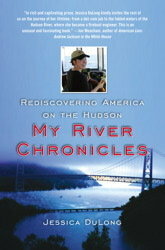 She only remembered how he had been based there frequently and didn’t think of anything else when she heard the news. It took a minute to calm her down and reassure her that he was fine. Poor kid was scared to death. 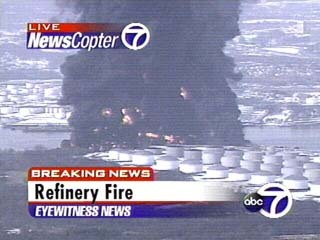 As we were approaching the scene and passed Fresh Kills it was clear that the size of the fire was unlike any I had ever seen. When we were passing Port Reading I could see that we were not going to get nearer than a few hundred yards if we stayed with our equipment at the south dock of Motiva. 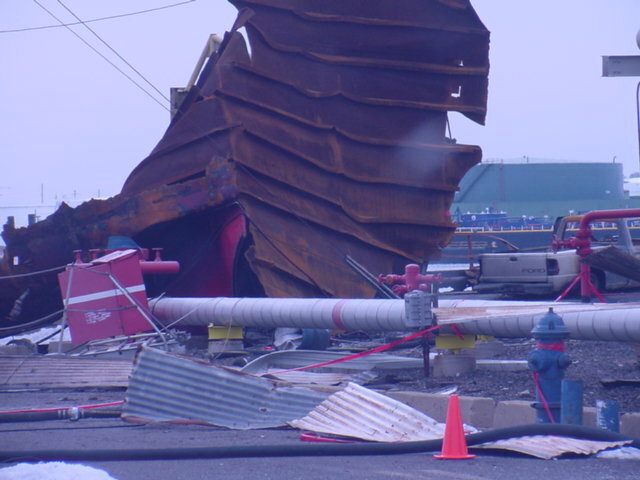 The barge Bouchard 15 in the north berth had no crew since the local authorities had the men evacuated. 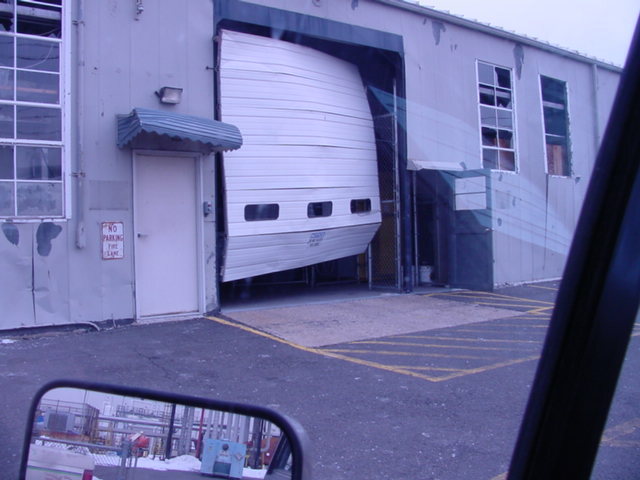 The terminal had no one on the dock. I decided that with the Dace and Stephen Scott taking care of one unit, I’d grab the other and take it out of the area to minimize any more exposed barges. I had to play phone tag with my office to get Motiva’s office to get the Sewaren Fire Dept. to allow someone on the dock to help us recover the hose and let the lines go. 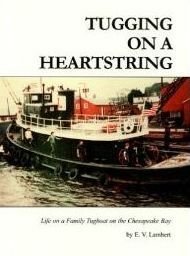 My crew made up to the barge, pulled in the hose, let the lines go, and came back inside. I had no way of knowing whether there’d be any more explosions. I was watching as the Evening Mist and the Frances were making up to the Bouchard 35 hoping they’d get out in one piece. 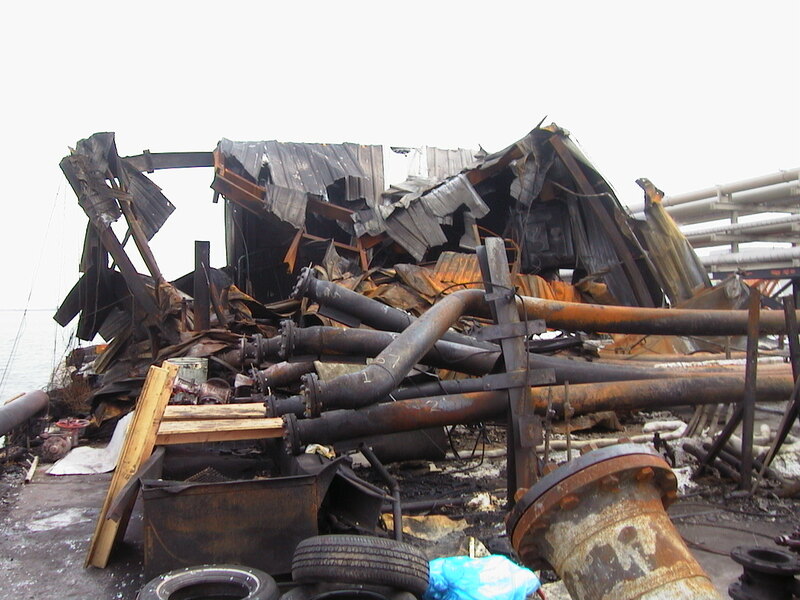 The fires burned for a couple of days as the pipelines burned off what was left in the manifolds. 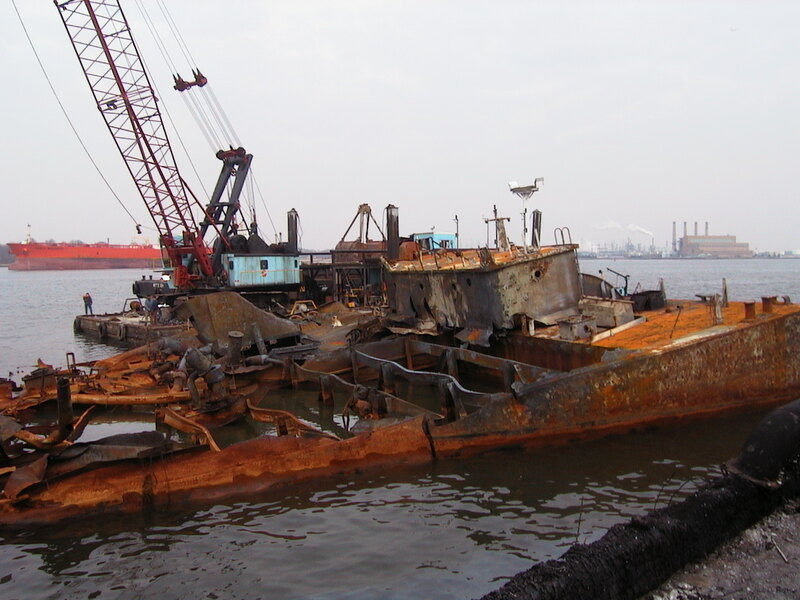 The barge sank immediately after the blast since she suffered a brutal and fatal blow. 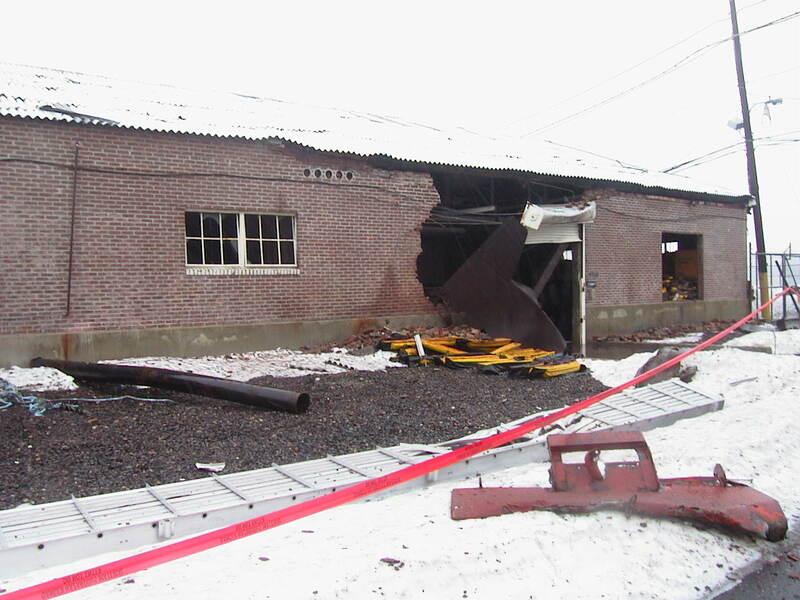 There was talk of terrorism which quickly faded as more details came to light but earlier maintenance issues and strange sounds emanating from the 125 moments before the explosion pointed to a mechanical failure. Saying it could have been much worse would’ve been an understatement of the first order. 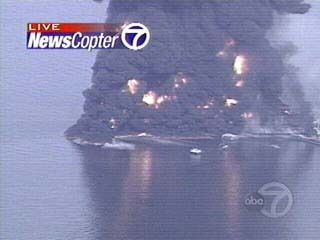 The cargo burned off and didn’t cause the widespread pollution a heavier grade of oil would have certainly caused. The only other barge directly in harm’s way was shifted out of danger by a couple of tug crews that showed what “having a big pair” means. 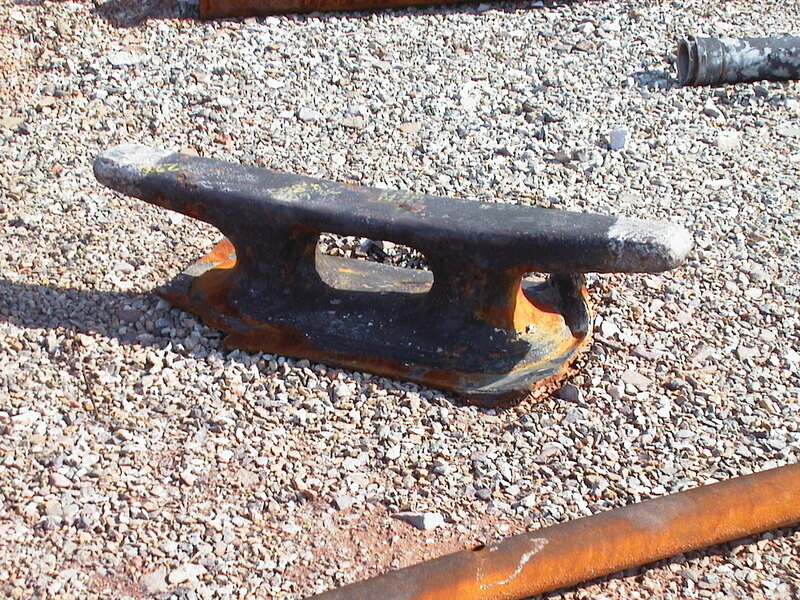 The dock has since been repaired and the fines have been issued. There were awards presented and lessons learned at great cost. But more importantly, it’s a damn shame a child’s birthday will be forever linked with the day of her father’s death. 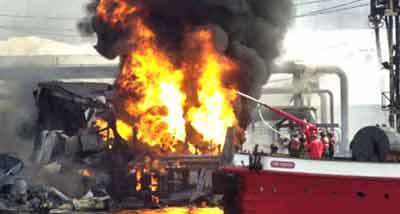 My buddy Jeff Higgins who works a tug told me to watch the video of this tragedy. I just discovered this blog through Bowsprite — glad I did. Great stuff. Something really cool from Google.